re detailed and thorough, and adhere to a strict ethical code that ensures that our appraisals are objective, fair, and trusted by lenders, investors, and insurance companies nationwide. If you’re refinancing your home, looking to buy or sell a property, looking for insurance value, or seeking to determine the value of a commercial property portfolio, we are here to help. Partnering with CTC means you will get the time, attention, and service you deserve – and a reliable and accurate understanding of your property’s real value. 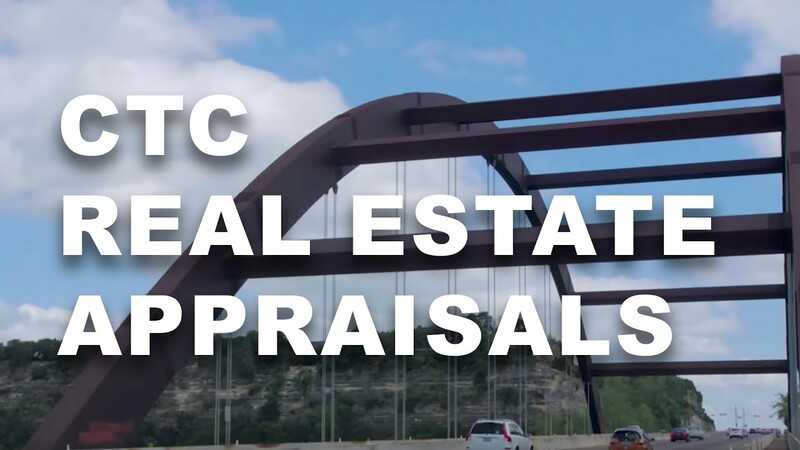 The team at CTC Appraisal Services consists of highly experienced and professional licensed real estate appraisers. They bring with them the benefit of their years of industry experience in order to offer the most accurate and fair appraisals in the industry. There’s a reason that an appraisal from CTC is trusted and accepted nationwide, and that’s because of our high quality standards and our adherence to a strict set of ethical codes. We are objective, fair, and honest, and will give you an appraisal that shows your property’s true value. Our process makes it easy to get an accurate real estate appraisal from an expert on our team. Simply order your appraisal through our easy online ordering system, and we will take it from there, ensuring that we maintain contact with you every step of the way. Our goal is to provide an accurate assessment and exceptional service to each and every client on every appraisal we perform. Contact CTC Appraisal Services for all of your Pennsylvania residential or commercial property appraisal needs. We are standing by and ready to help you get the most accurate valuation of your property.